Another year of Bitcoin and another Bitcoin Black Friday is coming in just about two days from now, so if you are planning to spend some BTC, then you might want to take a look at the upcoming deals and promotions this Friday. The dedicated website Bitcoin Black Friday is currently taking up offers from merchants that want to take part and the offers will go live on Friday, just like the years before. So make sure you check it out on Friday for some good deals or maybe if you are selling a product or a service you might also take the opportunity to provide a Black Friday deal and attract some more customers. Also you might want to double check on some seemingly attractive promotions and websites just to be sure that you are going to be getting a better deal and not being taken advantage of as events such as Black Friday and Cyber Monday also attracts some shady people that are just trying to make some quick money off users! Black Friday is almost here and Bitcoin users should also prepare for some nice deals and discounts for various crypto currency related items and not only. The website Bitcoin Black Friday is dedicated to collecting various deals that should go live on November 27th 2015 (Black Friday), so you might want to check it out in a few days when things get hot. Meanwhile the website is still accepting merchants that want to offer a good deal to users for the Bitcoin Black Friday, so there is time for getting your deal listed if you want to have something special for Black Friday customers. 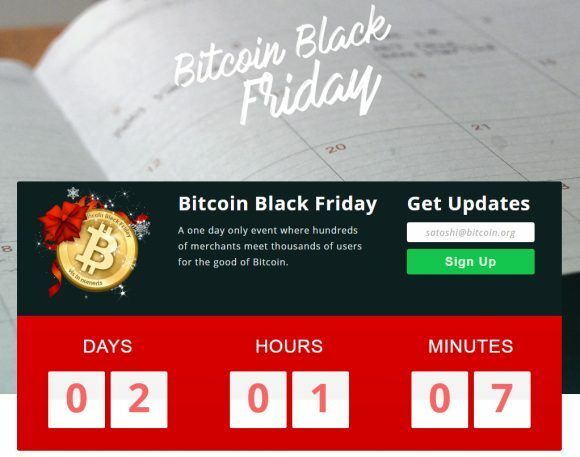 The dedicated website expects that over 2000 merchants will take part in this year’s Bitcoin Black Friday. It is Black Friday and there are a few nice deals that you might want to check out if you are looking to buy an ASIC miner at a better price or invest in cloud mining with a higher discount. Unfortunately there are not as much deals as we expected to see, but still a few that do look promising and that you can take advantage of. 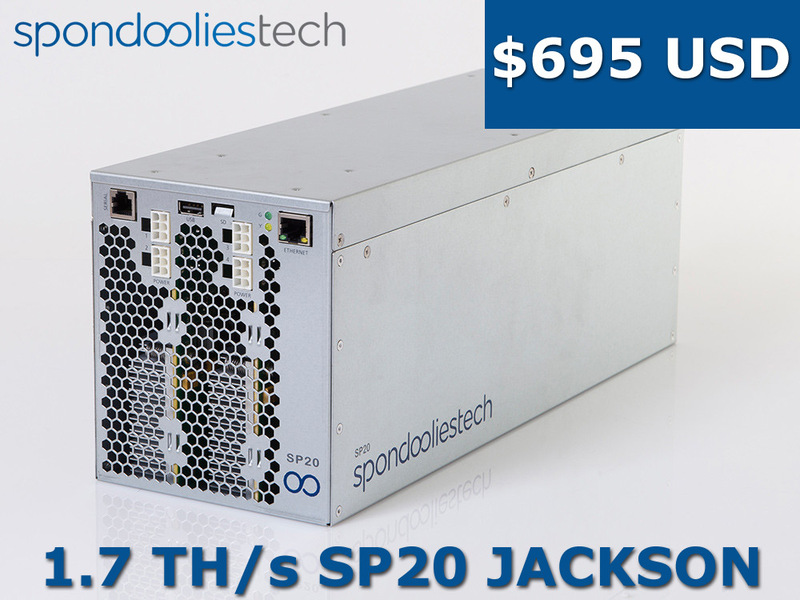 Spondoolies Tech has an even better price for their 1.7 THS SP20 JACKSON Bitcoin ASIC miner that is now available for $695 USD instead of $795 USD as previously and the deal is available not only for the Black Friday, but will continue until the end of monday spanning for the Cyber Monday. 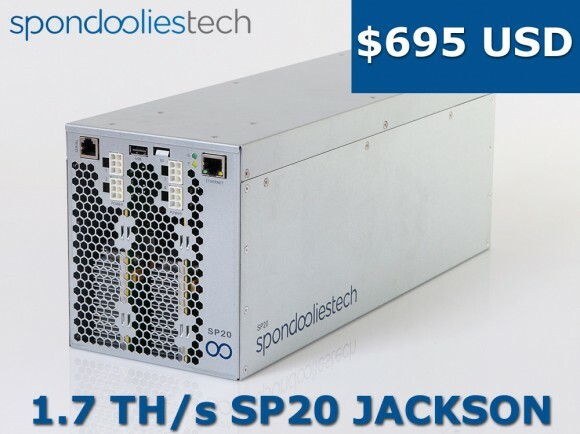 BitCrane, another ASIC manufacturer has also lowered their prices down to $648 USD from $998 USD for their 1THS T-110 and T110S Bitcoin ASIC miners as well as the 5-7 THS T-720 Bitcoin ASIC miner that is currently available for $3420 USD down from $4668 USD. Among the cloud mining services more notable promotions are currently ran by Genesis Mining with 10% off of regular price for their hashrate. Unfortunately at the moment only Bitcoin cloud mining hashrate is available as the Scrypt one has been out of stock for a few days already. The good thing is that our 5% discount code for the service is applicable on top of the 10% Black Friday promo price, so you can actually get a total of 15% discount by entering the promo code CryptoMiningBlog5 when checking out. Bitcoin Cloud Services is running a 10% promotion off their regular price for Bitcoin cloud mining hashrate by using the promotion code BTCBLACKFRI10, do note that it will be valid only for the Black Friday. Chabat Mining has a preorder hashrate promotion for 100 MHS Scrypt cloud mining hashrate at $460 USD ($4.6 USD per MHS), but the catch here is that the hashrate you purchase will start mining for you on December 16th.